Congestion. Not in your nose but on the road. Last year, the average Austin driver spent 104 hours stuck in traffic. That is not only boring but inefficient and detrimental to our economy. On average, traffic costs the U.S. economy 124 billion dollars per year. Accidents are another very serious problem linked to this. Texas leads the US list of states with the highest number of fatal road accidents. This problem is not only detrimental to our economy and well-being, but also to our environment. Cars produce some of the highest pollution on the planet, which has been contributing to our ongoing Global Warming problem. 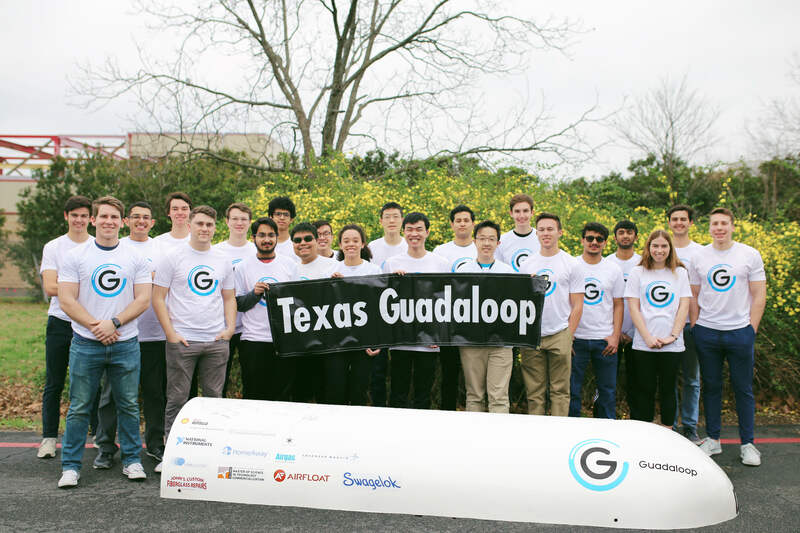 We are Texas Guadaloop, an undergraduate Hyperloop research and development team from the University of Texas at Austin. This is not just an engineering project, we have students with majors such as computer science, business, math, physics, psychology, economics and more. 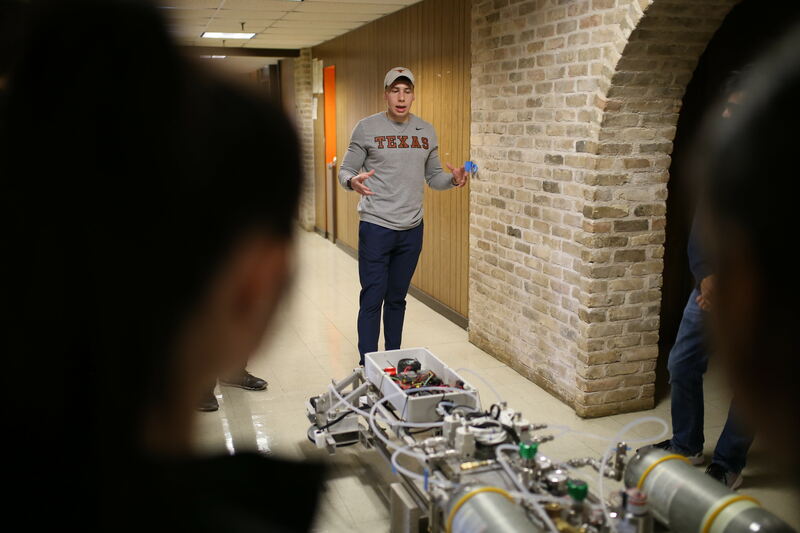 We are the team representing UT and the state of Texas in the push towards Hyperloop technology. We are a team that believes in change and progress through innovation and hard work. 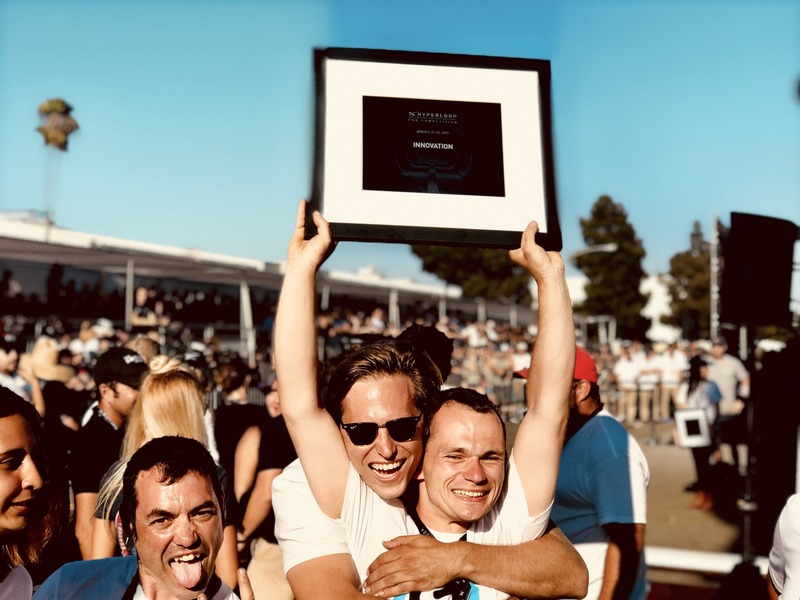 We've won multiple awards, including the Innovation Award at the SpaceX Hyperloop Pod Competition II and the #1 spot in the World during last years National Instruments Engineering Impact Awards. In 2013, Elon Musk released a white paper discussing a new mode of transportation called the Hyperloop which would transport people and cargo from major city to major city in 20-30 minutes. By levitating a pod on a bed of air and propelling it through a partially evacuated tube, speeds of up to 700 mph can be reached. It's as fast as a plane, but still as convenient to ride as a train. Although this sounds absolutely insane, it is not. We have successfully proven the theory and built a pod that can levitate on air bearings. Now comes the next step: moving forward. Literally. 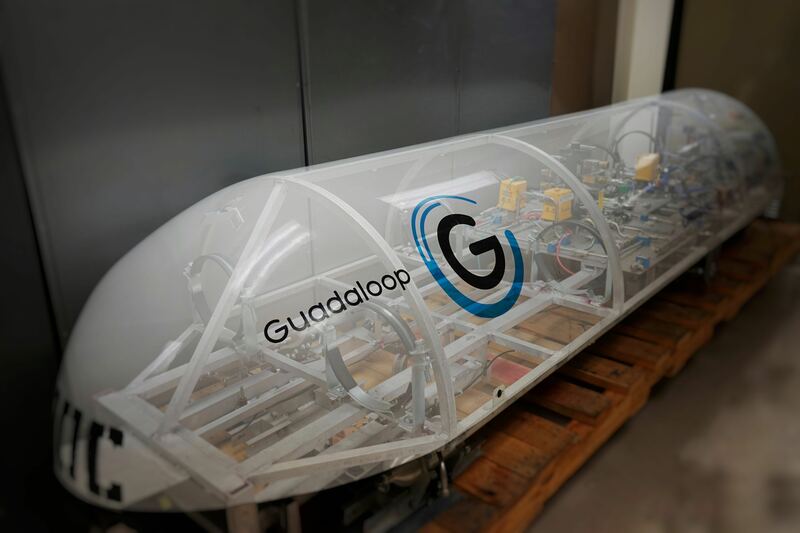 We are working to create a fully functioning and autonomous Hyperloop pod prototype that levitates, brakes, propulses, and works inside of a vacuum. This is not an easy task, but Texas Guadaloop is up to the challenge. You should help out the team for two main reasons. First, because this is a student-led project that requires the work and effort of students who are not doing it for money, but are doing it for the experience and with the idea of creating a better tomorrow for everyone.. We work hard not only to innovate technologically but to raise the resources needed to complete a project like this one. By contributing, you get us one step closer to our goal and allow us to focus on innovating. 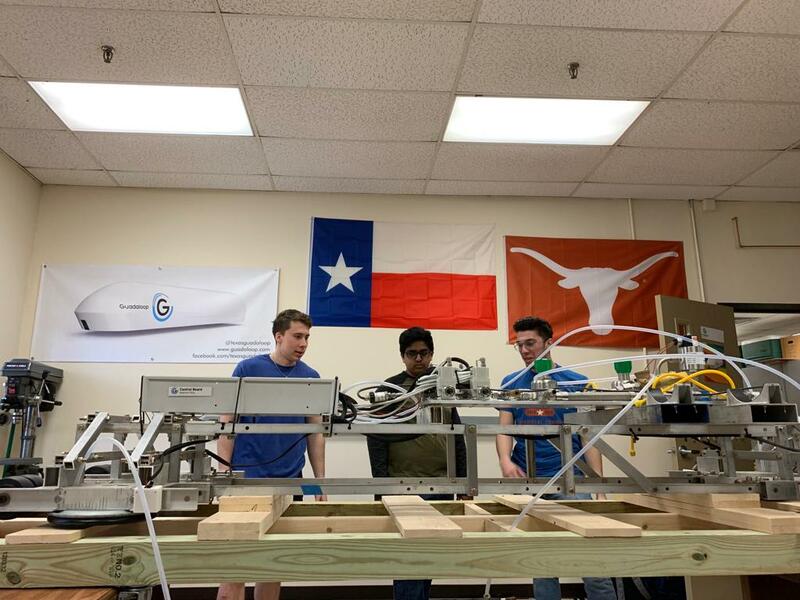 Also, by contributing to our project you are allowing students from all colleges of the University of Texas at Austin to participate in a truly interdisciplinary team effort to make our planet a better one. Your contributions enable us to learn, innovate and move forward. Second, because we need to tackle our traffic and pollution problems. Researching and developing new methods of transportation is key to succeed in this endeavor. We need to move away from the technologies that have proven to be detrimental, to a certain extent, to our environment, economy, and well-being and substitute them with ones that meet our necessities in a more efficient and environmentally friendly manner. We cannot stop here, we must move forward. Join us in this fight. How quickly hyperloop will get you to Dallas, in minutes. The number of bolts on one of our pods called Furiosa. The number of hours the average Austinite spent in traffic last year. The amount of money the average American spends putting gas in their tank each month. 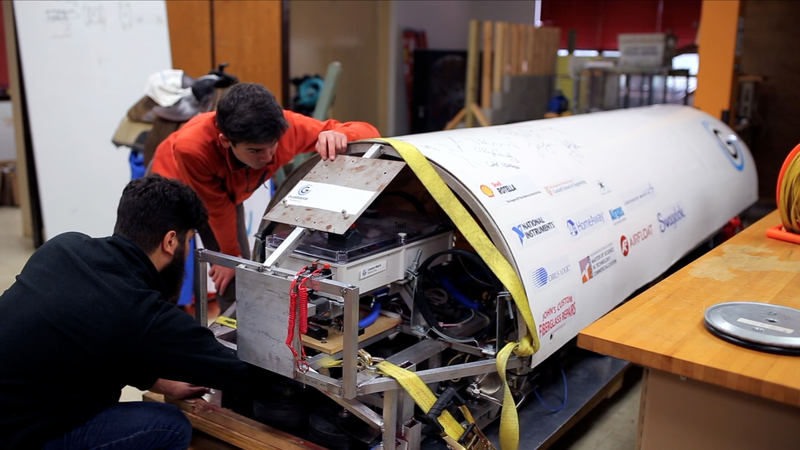 How fast, in mph and theoretically, the Hyperloop will be able to travel. The amount of money traffic costs Austinites each year. Almost a fully grown Elon.